In 2015 the Manassas City Public Schools purchased tablets for high school teachers. Eager to find a partner to support teachers to integrate the new technology meaningfully, they reached out to BetterLesson. 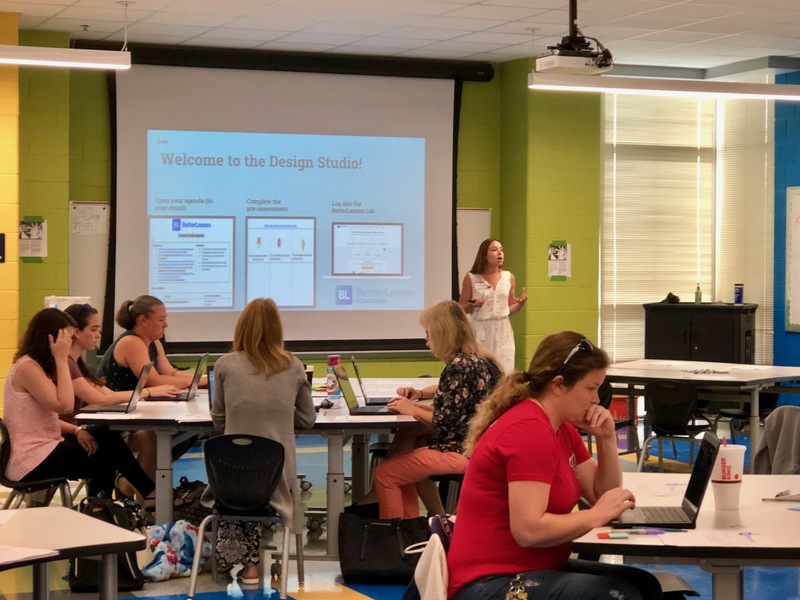 Twenty-one participants across the district attended design studios that summer, followed by 1:1 virtual coaching throughout the school year. The partnership is successful and continues to engage teachers and impact student growth because BetterLesson and Manassas have shared values and beliefs around teaching and learning. We believe that learning needs to be student-centered and that the most effective way to support teachers in making shifts to more student-centered instruction is through personalized and continuous professional development. 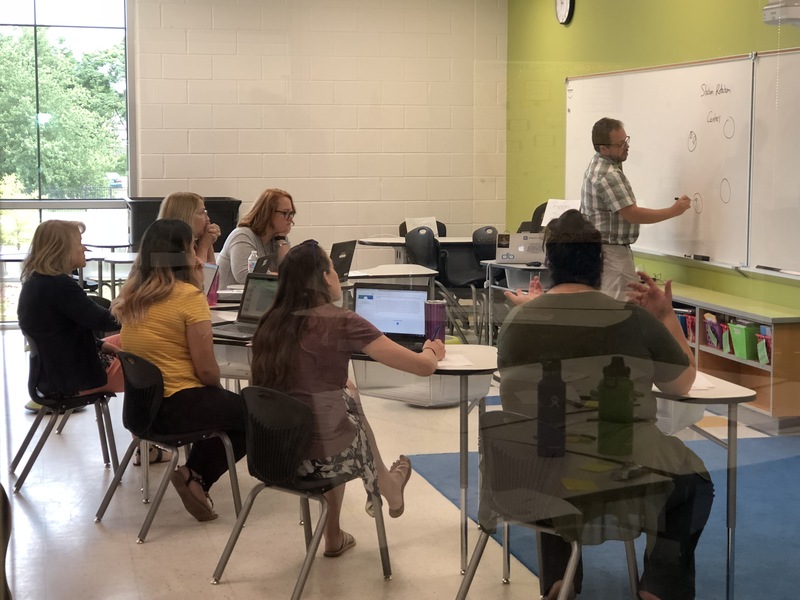 As more educators have participated, BetterLesson and Manassas have collaborated to align BetterLesson Design Studios and coaching with division goals and initiatives. While we continue to focus on blended and personalized learning, we have expanded our reach into project-based learning, student-centered learning, and supporting English language learners. Never remaining stagnant, we learn from our work and make changes based on teacher and partner feedback, so that every educator receives personalized continuous professional development. 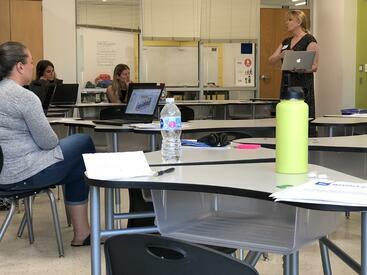 Now entering our fourth year of the partnership, over 50 Manassas participants will work with BetterLesson coaches. What Is A Design Studio? Personalize to participants’ needs, and with differentiated supports and structures for participants at all levels. Create a supportive space for participants to reflect on their teaching practice and identify strengths and areas of improvement. Practice what we Preach model best practices, strategies, and meaningful technology use that can then be replicated by participants. Provide participants with a blend of new information, hands-on learning and ongoing support for meaningful learners’ experiences. Support participants to create a vision for students success and teacher growth. Drive participants to select and prioritize key learning targets that lead to growth in sustainable learning domains. 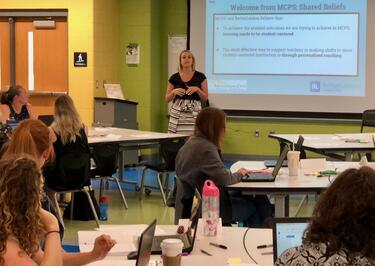 Guide participants to identify practices, instructional strategies, and tools that address learning domains. Build a plan for implementing their first strategy in the Lab and working with their coach throughout the year. 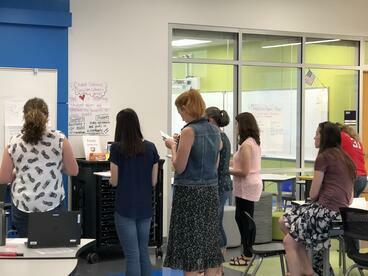 One of the goals this year is to build teacher capacity and teacher leadership throughout the division. For teachers and coaches who are returning for their second, third, or fourth year working with BetterLesson, BetterLesson will support them to extend their reach and develop products that expand beyond their classroom walls. Participants will have opportunities to develop PD sessions for their colleagues; write blog posts; facilitate workshops, and curate their own strategies. Erika Redler, Choose Your Own Adventure: Using Google Slides as an interactive tool to allow for student choice and self-paced learning or research. Katie Bookwalter, Creating Hyperdocs : A session on how to use hyperdocs to engage, differentiate, and meet the needs of your students. Athraa Dawhi, Flipped Learning: Why and How: A session on supporting teachers to integrate flipped learning videos into their instruction. In order to meet the participants where they are at, prepare them for coaching, and personalize their experience, BetterLesson facilitated three different experiences at once! 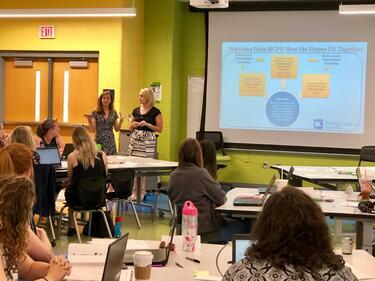 New teachers focused on defining and exploring blended and personalized learning and student-centered classrooms in order to build a plan for their work during the school year. New coaches also defined these terms, and explored strategies while also learning coaching best practices and drafting a plan for supporting their teachers. 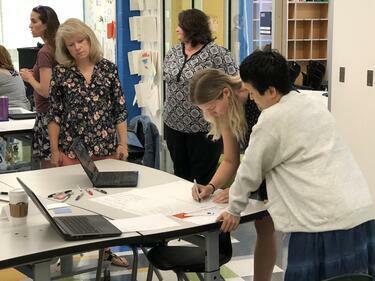 Returning teachers participated in a Digital Gallery Walk where they shared their work from last year with each other, and they celebrated their success as well as built a plan for what they still wanted to accomplish. Returning teachers were also encouraged to think about how they could become teacher leaders and use blogging, designing workshops, and curating strategies to develop their teacher leadership skills and share their learnings with their colleagues. When asked why our work with Manassas has been so impactful, Abbey Goldstein Moss, the director of this partnership for BetterLesson said, “the professional learning team in Manassas strives to provide personalized professional development for all of their teachers. It is exciting to see how our Design Studios and coaching are helping them achieve that goal as we work together.” Because we collaborate and our work evolves as the district’s goals and initiatives evolve, we thoughtfully integrate district goals with our shared values and beliefs. For example, in planning this year’s Design Studio, coaches knew that project-based learning was an important initiative for the district, and we made sure that our agenda included a breakout session, as well as strategies and resources for teachers to make connections between their work with BetterLesson coaches and their district goals. 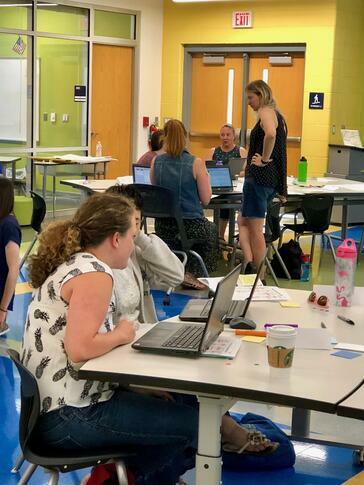 “This work should never feel like one more thing you have to do, “ Katy Keegan, supervisor of professional learning for Manassas City Schools shared with teachers when she joined us at the first day of the design studio. We have all been to a professional development workshop where we sat in a lecture hall, and viewed a Powerpoint presentation. Maybe we left the workshop with some resources or ideas, but we didn’t leave with a personalized plan for how to implement those ideas in our classroom. This is what makes Design Studios different, engaging, and effective. The focus is not on a specific curriculum or tool, it is on you! The coaching that follows provides you with a thought and accountability partner, your coach, who will support you as you work on your plan throughout the year. If you are interested in learning more about Design Studios, start a conversation with us today.